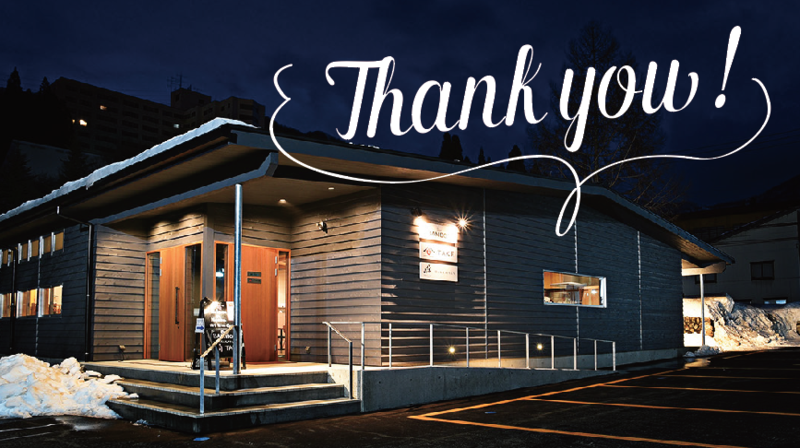 The opening of 「IZAKAYA KAMAMESI TAKE」 and 「Bar BAMBOO」 in December last year was a great success.Finally, the season for business closing is approaching! The season’s business will be until April 8 and will resume December of this year.Three months from its opening, may visitors not only in Japan but also from overseas came to visit us. It was a great pleasure to have a taste of the unique food of this area and the delicious sake of Hakkaisan! Although the remaining period is short, when you come to Naeba, enjoy a wonderful time with delicious food and sake. Our staff is waiting for your visit!